Today I have a duo from two companies that I already have polishes from. When I found out that Nail Honey and Loaded Lacquer were going to have a holiday duo, I knew that I needed to have it. This set features a shimmery polish from Nail Honey and a beautiful glitter topper from Loaded Lacquer. The polishes are, Sleigh of Steel from Nail Honey. 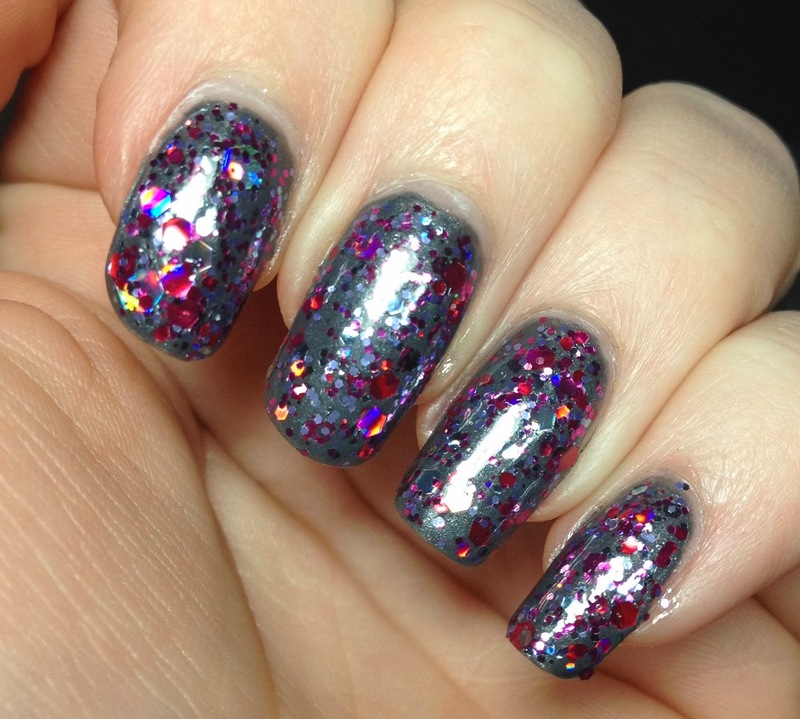 This is a gorgeous shimmery steel colored polish. Two coats of easy application and coverage. This makes a lovely base for the glitter topper that was made to go with this. You can just imagine that this would be the color of the steel runners on a snow sleigh. Here is the other half of the duo. 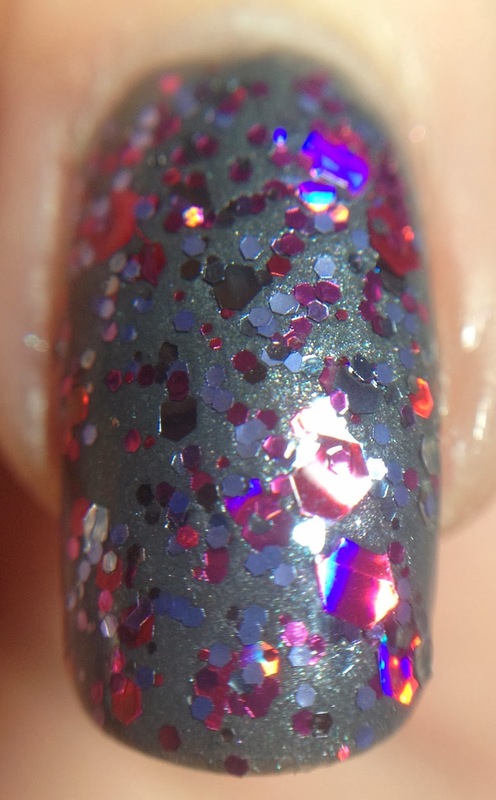 This is Giddy Up Jingle Horse from Loaded Lacquer. 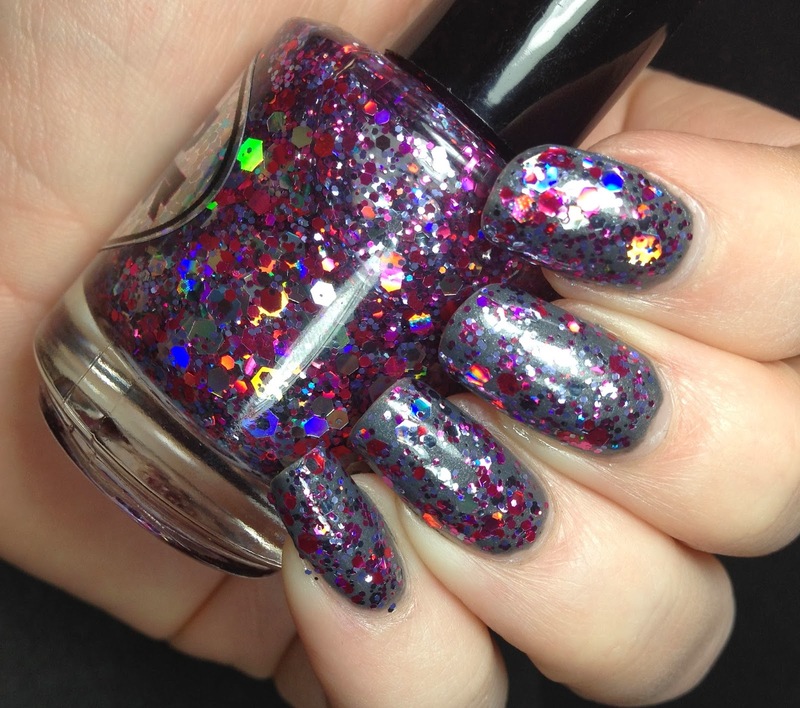 This glitter topper is LOADED with glitter. Pink and silver hexes in many sizes make up this beautiful topper. I can't wait to try it out over more base colors. I picked up my duo from www.loadedlacquer.com. I don't think any more are available but check out her other creations, they are beautiful.